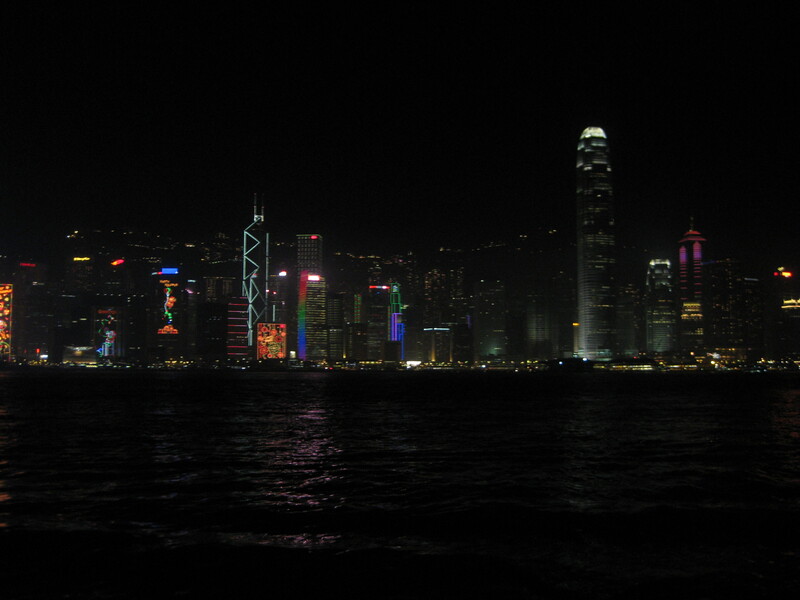 Last week I calculated that the end of January marks the halfway point of my time in Hong Kong. I have been here for a whopping nineteen months, and have another nineteen to go. In some ways it feels like the first half has just flown by, like only yesterday I was wandering around wide-eyed and confused with no idea what these mysterious TST and LKF abbreviations referred to, nor how an Octopus might help me get from A to B. 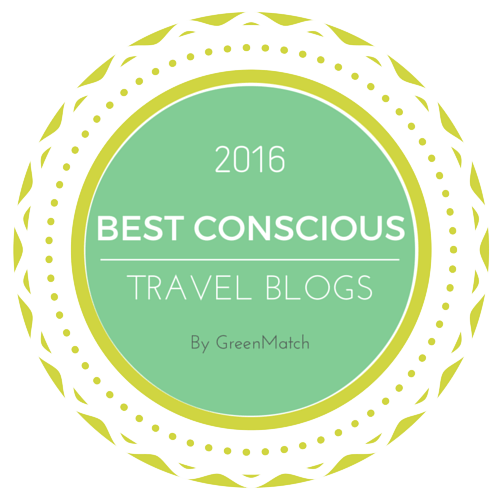 But in other ways, it feels like quite a lot has happened in a relatively short time – whether it’s good or bad I’m not sure, but I certainly feel a lot older and wiser than when I arrived. I feel like the next nineteen months are bound to fly by…but it’s also such a long time, it’s hard to even imagine what the second half of my time here might hold. The halfway point of any quest is all about sustenance, and here is the perfect dish to fuel you on for the second half of the day, or of the adventure. 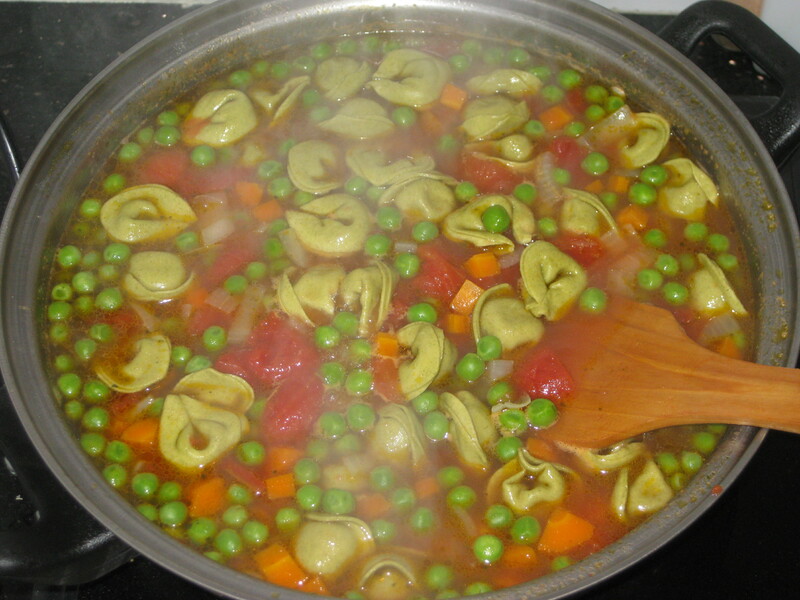 It claims to be a soup, but it’s so much more than that. Hearty is definitely the word! 1. 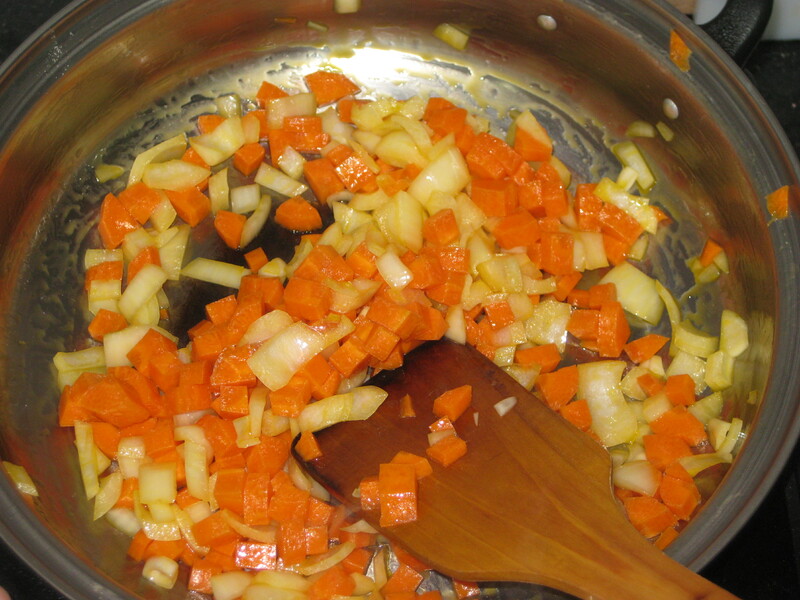 Heat the oil in a pan and fry the onion and carrots for about 5 minutes until beginning to soften. 2. 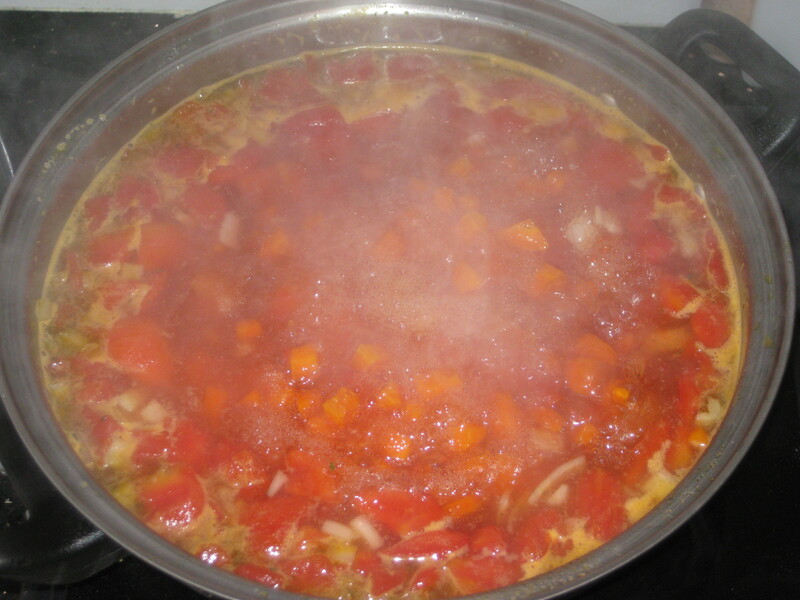 Add the stock and tomatoes and simmer for 5 minutes. 3. 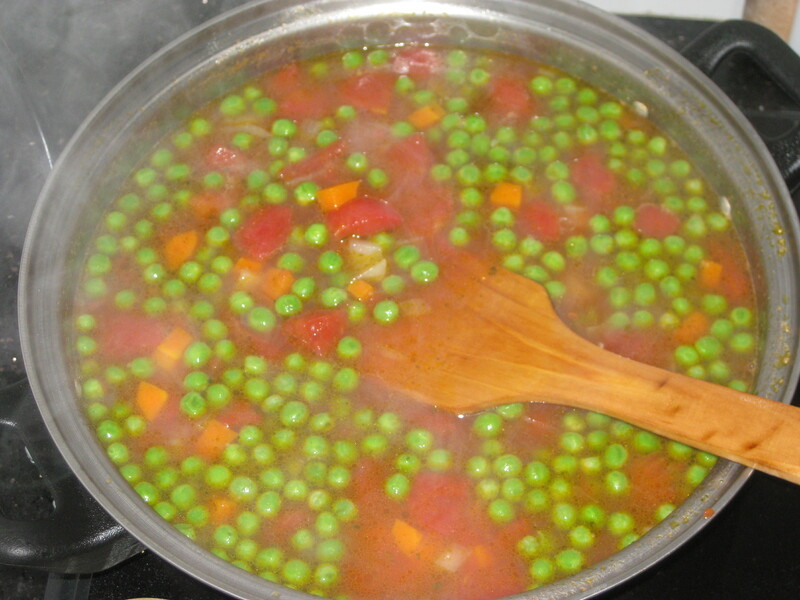 Add the frozen peas for another 5 minutes. 4. 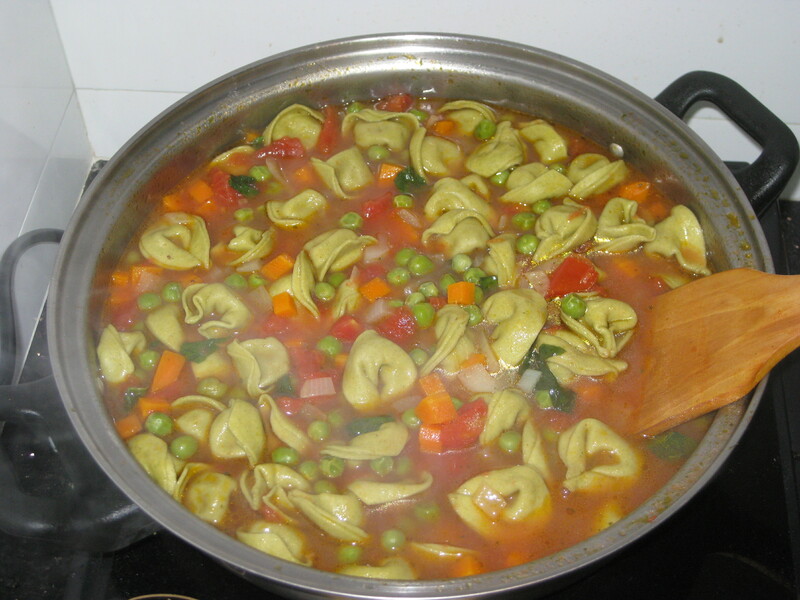 Stir in the tortellini and simmer for another 2-3 minutes (or to pack instructions) until just cooked. 5. Stir in the basil and some seasoning. 6. 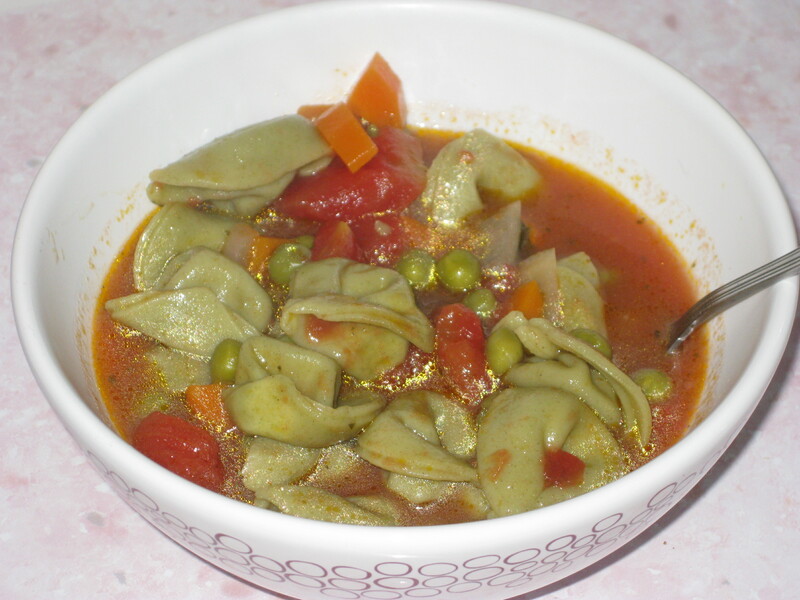 Serve in bowls, topped with a little grated parmesan if you like. 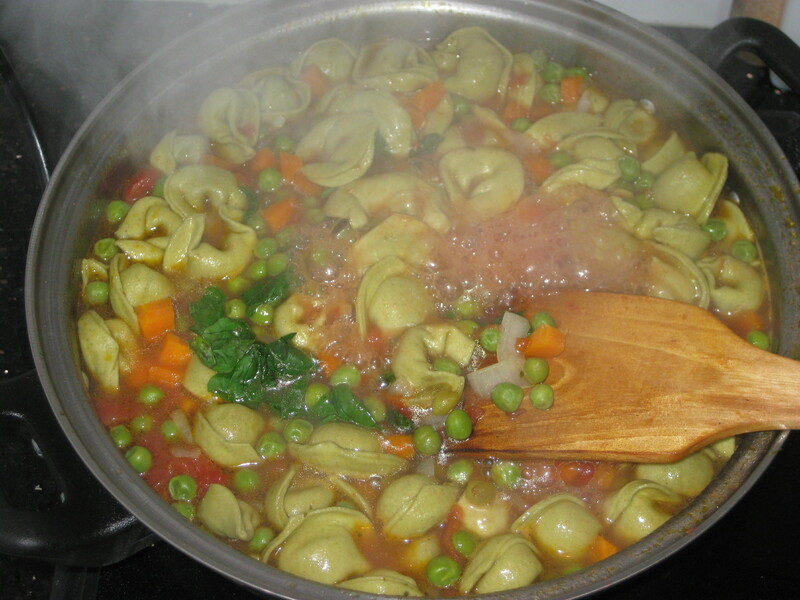 This entry was posted in Vegetarian Recipes and tagged hearty soup, tortellini soup, vegetarian soup. Bookmark the permalink.